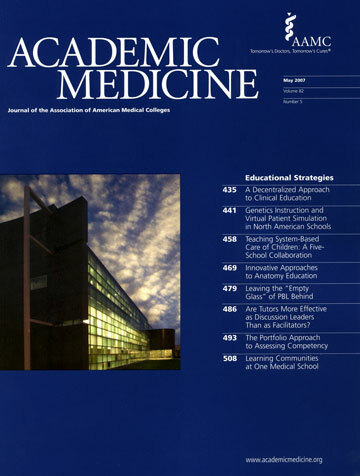 Society of Physicians with Disabilities: U.S. Medical Schools' Compliance With the Americans With Disabilities Act: Findings From a National Study. 1: Zazove P, Case B, Moreland C, Plegue MA, Hoekstra A, Ouellette A, Sen A, Fetters MD. 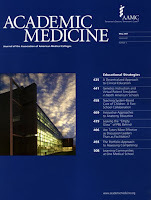 U.S. Medical Schools' Compliance With the Americans With Disabilities Act: Findings From a National Study. Acad Med. 2016 Jul;91(7):979-86. doi: 10.1097/ACM.0000000000001087. PubMed PMID: 26796093. Physician diversity improves care for underserved populations, yet there are few physicians with disabilities. The authors examined the availability of technical standards (TSs) from U.S. medical schools (MD- and DO-granting) and evaluated these relative to intent to comply with the Americans with Disabilities Act (ADA). Document analysis was conducted (2012-2014) on U.S. medical schools' TSs for hearing, visual, and mobility disabilities. Primary outcome measures were ease of obtaining TSs, willingness to provide reasonable accommodations, responsibility for accommodations, and acceptability of intermediaries or auxiliary aids. TSs were available for 161/173 (93%) schools. While 146 (84%) posted these on their Web sites, 100 (58%) were located easily. Few schools, 53 (33%), had TSs specifically supporting accommodating disabilities; 79 (49%) did not clearly state policies, 6 (4%) were unsupportive, and 23 (14%) provided no information. Most schools, 98 (61%), lacked information on responsibility for providing accommodations, 33 (27%) provided accommodations, and 10 (6%) had students assume some responsibility. Approximately 40% allowed auxiliary aids (e.g., motorized scooter), but < 10% allowed intermediaries (e.g., sign language interpreter). Supportive schools were more likely to allow accommodations (P < .001), assume responsibility for accommodations (P < .001), and accept intermediaries (P < .002). DO-granting schools were more supportive for students with mobility disabilities. Most medical school TSs do not support provision of reasonable accommodations for students with disabilities as intended by the ADA. Further study is needed to understand how schools operationalize TSs and barriers to achieving ADA standards.